On September 29th, Sister Parish community representatives in El Salvador gathered to walk in solidarity with their hermanamientos in the North and to share their songs and hopes for a more just world. 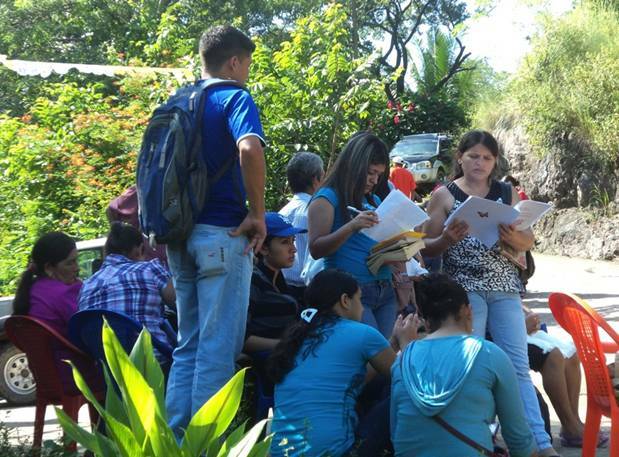 Approximately 75 people participated from the four sister parish communities and the umbrella organization, the Association of Communities for the Development of Chalatenango (CCR). The community of Potrerillos, linked with Decorah’s First United Methodist Church, hosted the walk this year. All four communities participated in choosing Bible readings and excerpts from Archbishop Oscar Romero’s homilies for the stations along the way. In the days leading up to the walk, many US Sister Parish members pledged money in support of the walkers in El Salvador. All of the money raised by the Salvadoran Walkers will go toward paying for operational costs that directly benefit the Salvadoran communities. You can still donate and support their walk. Read the full report on the “Sister Song” Solidarity Walk (PDF) and watch a video slideshow of the walk below (password: churches2012). We hope this will bring you closer to your sisters and brothers in El Salvador. Music plays an integral role, not only in the annual Solidarity Walk, but also more generally in the development of our faith and our sister relationships. Read more about how you can get involved in our ongoing Sister Songs project. 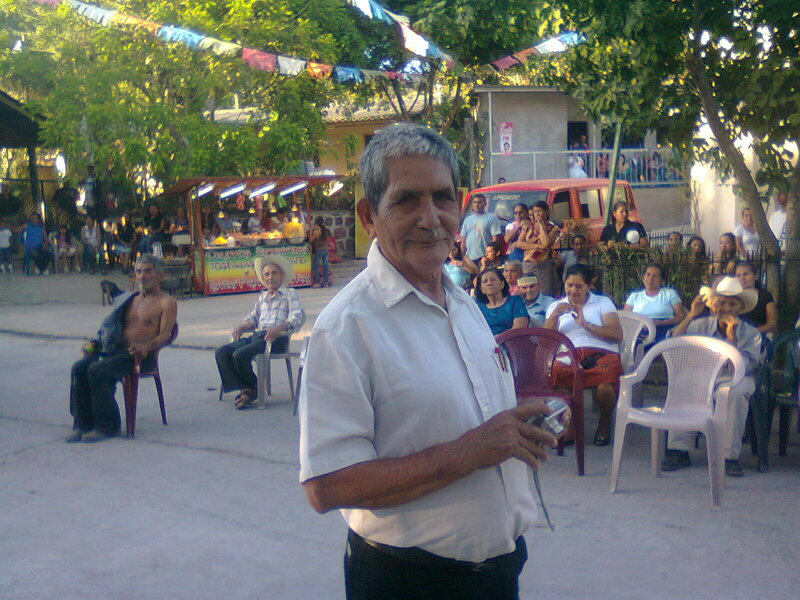 This entry was posted in El Salvador, General, Solidarity Walks. Bookmark the permalink.